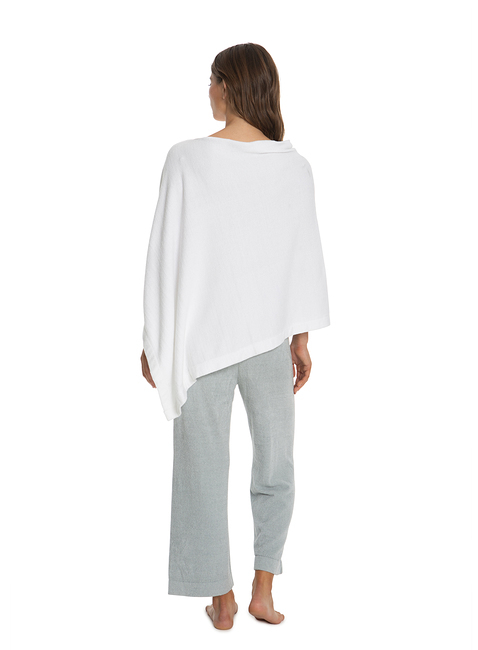 Layer up in style with our ultra lite poncho. Asymmetrical lines and a delicate, open weave side seam detail. Easy to get on and off and convenient for travel. Click here to see the size chart. Beautiful and Comfortable!!! This is a must have for every woman!!! 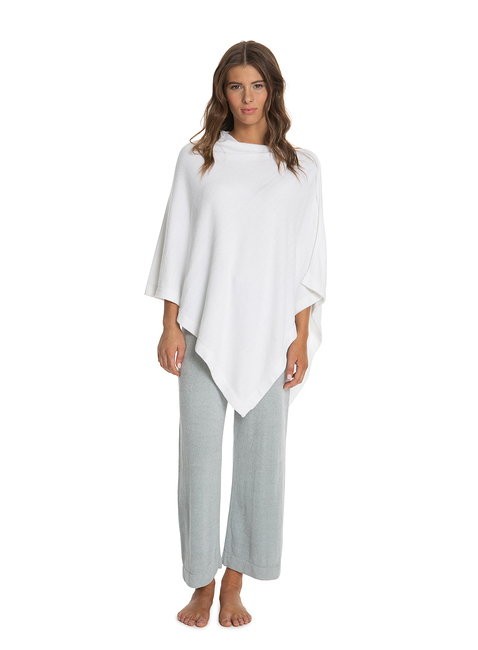 LOVE this amazing poncho - functional yet so classy looking!! This is a favorite of mine! It is perfect for cool nights, taking to a restaurant or wearing all day! It has a wonderful feel when wearing it, not too heavy but warm enough!